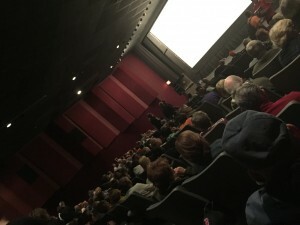 When I last left you it was with a dispatch following Day One of the festival in which I got acclimated to the fest itself and saw some cool films and had fun. However the next day, I was hit pretty hard and laid low. I hate when people go to movies with a severe cough and hack up a lung throughout the screening so I didn’t want to be that person. However I did manage to pull myself together enough to see the festival’s presentation of Harold Lloyd’s The Kid Brother which was backed by the Dubuque Symphony Orchestra. While obviously live accompaniment of silent films is nothing new it was also something I‘d never witnessed so cold be damned, I headed across the street to the event. I’m so glad I did! One of the festivals guests of honor was actress (and Dubuque native!) Kate Mulgrew who was on hand to host the screening and her excitement was truly contagious. As the lights lowered and the symphony tuned up one last time myself and the audience were transported straight into the wonderful silent film onscreen. While at first I was kind of bummed I couldn’t see the symphony, after a few moments the lack of sightline actually helped me give myself over to the film and the event was really kind of magical. The seamlessness of a nearly 100-year-old film coupled with a live orchestra made the film come even more to life. I’m hooked on live scores to silent films now so, be prepared for many more reviews of such happenings. Following the film many people headed over to a local bar which was doing a live podcast of “Drunk on Disney” (featuring one of the podcast’s regular comedians, Guy Hutchison, as well as Andy Sipes (voice actor, Code Monkeys & Adult Swim), Zac Knutson (Director of the awesome John Millius doc) and Brian Studler (Brothers & Sisters and Star-Crossed)) which, while I’d never heard of it, is apparently a pretty great podcast. I decided to retreat to my room to attempt to rally for the final day of the festival which included several screenings I was interested in as well as the awards ceremony. Long story short, I semi-rallied. I emerged form my den of hacking solitude to catch a screening of the “children’s movie” The Incredible Adventure of Jo Jo (and his Annoying Sister Avila) which was being presented at the National Mississippi River Museum which, like every other venue at the festival, was a few short blocks away. The film follows a very young boy named Jo Jo who, after a car crash, must make his way back to grandma’s house with his 3-year old sister in tow. The film was presented in “4-D” which means the seats would frequently rock, smoke would erupt from behind the screen and squirts of water would hit the audience throughout (we’ll pretend like the 3rd dimension, the one with the silly glasses, was present too). The film itself is pretty cool and reminded me of an old 1970’s Disney adventure as done by the Alamo Drafthouse Cinema. In other words, it’s highly inappropriate and pretty damned funny. Filmmaker Brian Schmidt definitely pushes the limits on this whole “free range parenting” movement that’s happening as Jo Jo frequently whips “it” out to pee on things and toddler Avila eats any kind of bug or creature that has the misfortune to wander into a shot. I loved the film even if it did go on a bit long and I found it refreshing to see people letting kids be kids again, even if a particularly perilous scene involving a naked assed kid and a bear trap made the little girl next to me start crying. These are the breaks, kid. Were you in the theater to see Bambi’s mom die in all it’s full screen glory like I was at your age? Were you? WERE YOU?!? Anyway. From there, I was wiped out and had to leave the next day. I felt extremely bummed to not attend the awards ceremony but again, when you feel like crap it’s hard to rally to get dressed up and party. I will say the winner was a very well received film called Reparation which I look forward to checking out. So, to wrap up I’d like to add a little list of things festival goers and more importantly filmmakers might find interesting. I’ll be adding this section to all upcoming regional film festival wrap-ups. Here goes. Should I submit my film to this festival? Yes, if you want to have really large, film thirsty crowds come out to see it. Although stranger things have happened, I’d doubt a distributor will pick up your film at this festival. But if you are a Midwesterner (it’s an easy drive) or wisely allotted part of your budget for festival travel, this is an emerging festival that, in my opinion is doing all the right things. It’s a great weekend for fans of indie film and filmmakers as well. What’s “great” about this festival for filmmakers? Hmmmm….let’s see. As I stated in my opening column, I was surprised no film festival “regulars” were going to be attending and showing films. Every film at the fest was one I’ve never heard of. I think this is a reflection of how new the festival is and that many established filmmakers have yet to discover it and are still making the rounds at the other regular, similarly timed/well regarded, film festivals. In speaking to a volunteer at the fest I believe she said they had doubled the amount of submissions to around 400 this year which again, speaks to the idea that the word is getting out. 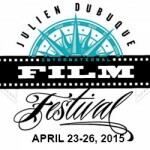 And I think as filmmakers, many of us talk amongst one another about what festivals are great and which ones are not and the newness of the Julien Dubuque International Film Festival has yet to get in the conversation. It definitely should be. In short: as a writer, I like to see a few smaller films that garnered buzz at larger festivals that I may have missed. There weren’t any films of that nature here. While that was a slight bummer, it also opened the door to force me to (gasp!) try and discover something new. Are there travel accommodations provided or any cash prizes for competition films? According to festival director Susan Gorrell, “We pay for the travel and accommodations for the top 3 nominees of each category. 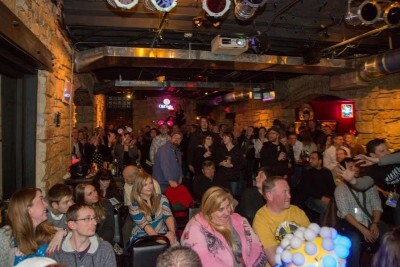 We also pay a partial reimbursement to the films that are picked as Official Selections of our festival (Features/Docs receive $30.00 back, Shorts receive $10.00 back).” She added “Best Doc gets $8,500, Best Feature gets $8,500, Best of Iowa gets $500.00, Best Short gets $3,000, and Grand Jury gets $15,000. Audience Choice gets $1,000. We award over $35,000 in cash.” That’s no joke! 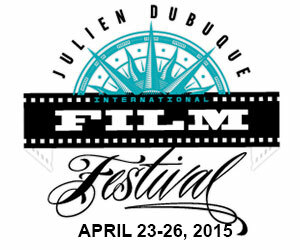 So, all in all I think the Julien Dubuque International Film Festival was a fun festival in a really nice, mellow city. Again, I’m surprised more films don’t shoot there as it’s very Americana or “Anytown U.S.A.” Plus, food, drinks and accommodations are very, very affordable which is not only great for filmmakers but also great for visitors to this fine city. I’m hoping to attend the festival again as it was really well done and I honestly got the feeling the people running the show and the city as a whole were wholeheartedly into this festival. Goodnight Dubuque and thanks for having me!